If cadet Katelynn Howard has taken anything away from her experience in IUPUI’s ROTC program, it’s how to be a leader. “There are challenges that you are faced with as a leader, especially in the military. That is why I feel that ROTC has prepared me for my career in the military,” says Howard. Set to graduate in May 2018 with a degree in Political Science and minors in Arabic and Islamic studies, legal studies, and history, Howard transferred from a community college to IUPUI in Fall 2015 and started ROTC that same semester. Howard says that she’s always had ambitions of becoming an Army officer. 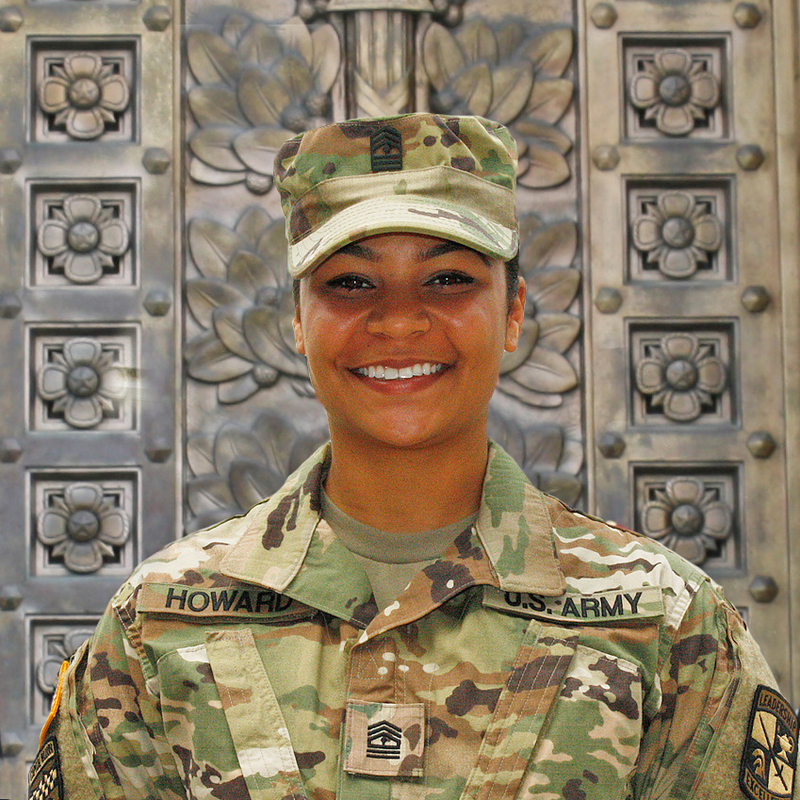 Upon graduation, Howard says that she would like to work in the “branch of military intelligence with a detail of field artillery.” Through ROTC, she shares that she has achieved “becoming a better leader, being mindful of others, and understanding what it means to be selfless,” lessons she garnered under the mentorship of Major Seth Olmstead and Sergeant Anthony Gillick. Howard is no doubt a military leader in the making.